Nothing extreme in horsepower or anything, but these two cars are more in line with what other evo owners typically go for in mild/mid range setups. It'll make more power with more boost, but this is where i stopped. If we addd more up top I'll post another revision. 2nd car is on 98Ron kuwait fuel which is a bit better then what we get here in 93oct form. Unfortunately this car ran out of injector. Probably has more mods, i just don't know them all. Tom,around how much power realistically would i see going from a stock manifolds (I&E) and stock TB to ported units like the ones on the DBB Red car? My car currently makes 474/415 @ 28psi on E85. Those are awesome numbers on that car, seems like it out powers mine all over the place, on not much more boost..
Is that 28psi with a 3 port or a mbc? thats a huge difference. And MAF or Speed density? MAF restricts power substantially when flowing boost uptop. Notice the car is holding 32psi to redline. That is a lot of boost to hold solid across the RPM band. This car will make close to 600 if i give it more boost uptop, but there is a risk of over spinning the turbo and having a turbo failure as well due to too high of shaft speeds at that RPM. 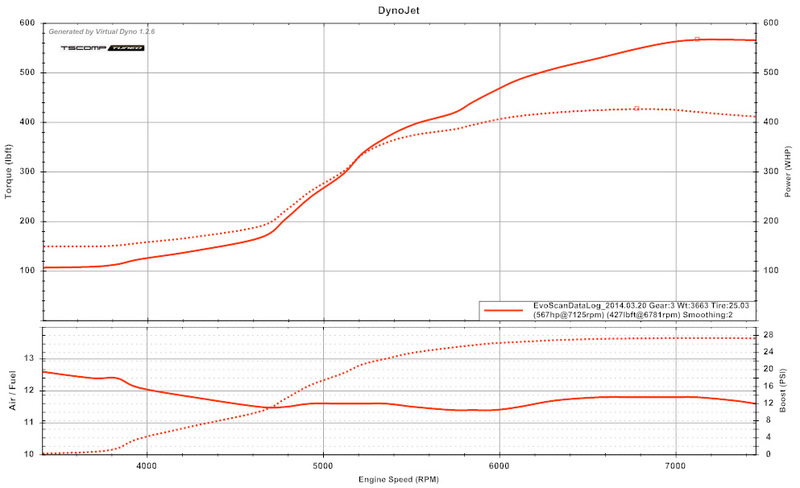 Between a ported intake manifold and exhaust manifold I would say around 30whp and lots of mid range torque picked up. Is that 28psi with a 3 port or a mbc? thats a huge difference. And MAF or Speed density? MAF restricts power substantially when flowing boost uptop. Notice the car is holding 32psi to redline. That is a lot of boost to hold solid across the RPM band. This car will make close to 600 if i give it more boost uptop, but there is a risk of over spinning the turbo and having a turbo failure as well due to too high of shaft speeds at that RPM. 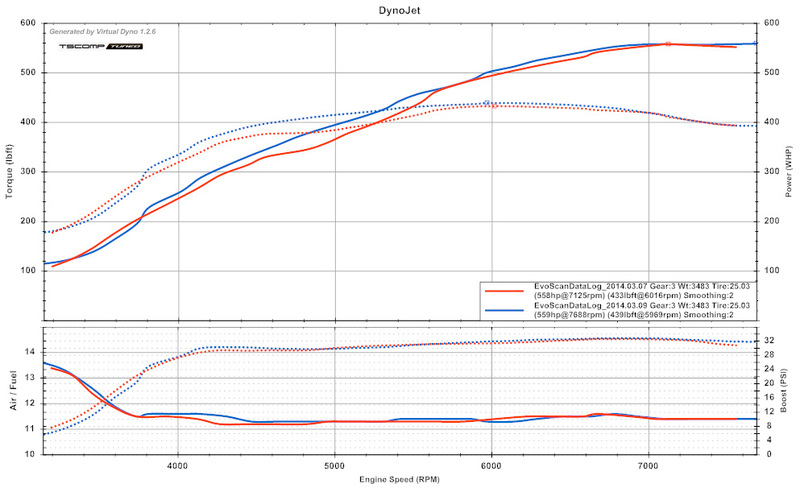 Between a ported intake manifold and exhaust manifold I would say around 30whp and lots of mid range torque picked up.